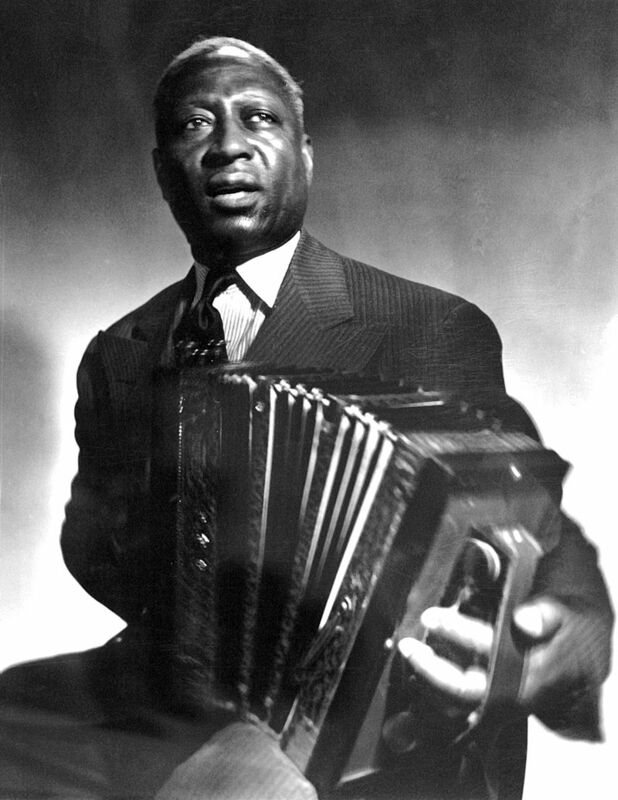 Leadbelly was born and raised in Louisiana and became an itinerant blues performer. He was a blues guitar genius and a composer who absorbed folk traditions then synthesized them into a vast repertoire of original “folk-blues” songs. His life, however, was marked by intense violence. Imprisoned for murder in 1918, he was released after six years, having been pardoned by the governor of Texas after he heard him sing. Imprisoned at Angola, Louisiana, for attempted murder in 1930, he was released in 1934 thanks to the efforts of father-and-son folklorists John and Alan Lomax. Leadbelly embarked on a performing career, but nevertheless died in poverty. Of his many songs, “Goodnight, Irene,” “The Midnight Special,” and “Rock Island Line” have become not only enduring classics but lucrative bestsellers— for performers other than the composer.